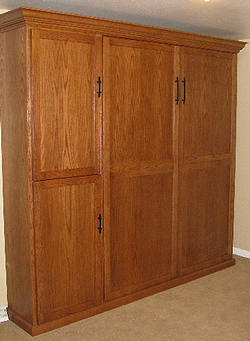 Vertical queen bed in Red Oak with matching wardrobe.Shaker style face panel and door fronts. 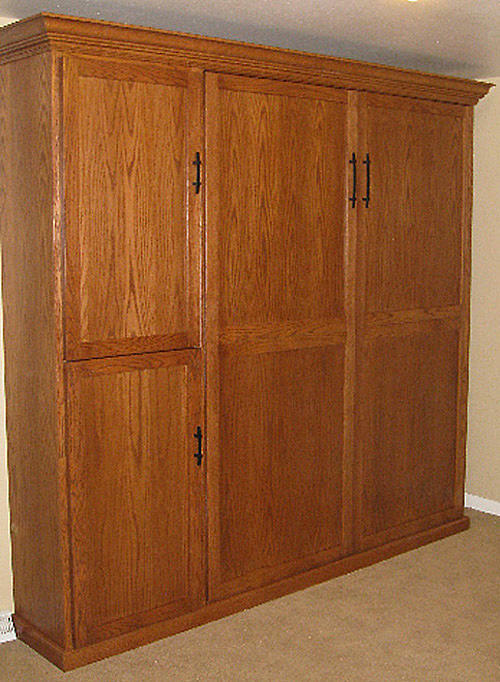 Finished in custom wood stain. 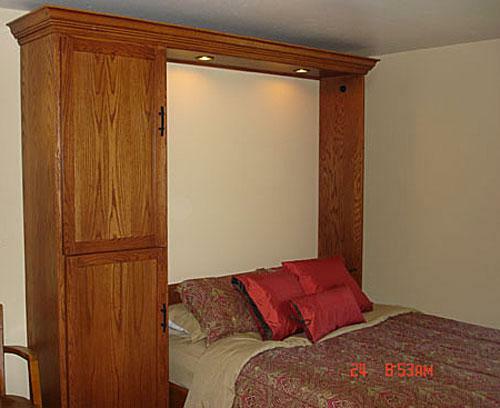 Adjustable shelving behind double doors. Hanging rod in top compartment for clothing.